You probably thinking I am nuts for even to even suggesting that! You are right hah! Start taking risks and live life with no limits that what Nick Vujicic said. Start Taking Risks! Be Brilliant and Be Brave. Experience is indeed the best teacher in life. You can read as many books as you want and learn all kinds of fancy methods and theories but what still matters is application. Knowledge and experience go hand in hand, after all. If all you have is books then I urge you to be brave and start taking risks. If you want to gain more knowledge then you will find no better way to do so than through experience. Nothing can ever substitute experience in this world of ours. For example, you’re a commander in a decisive battle. You can learn all the tactics and strategies you want from books and all that but what will win the battle for you is your own experience, as well as the experience of your soldiers. 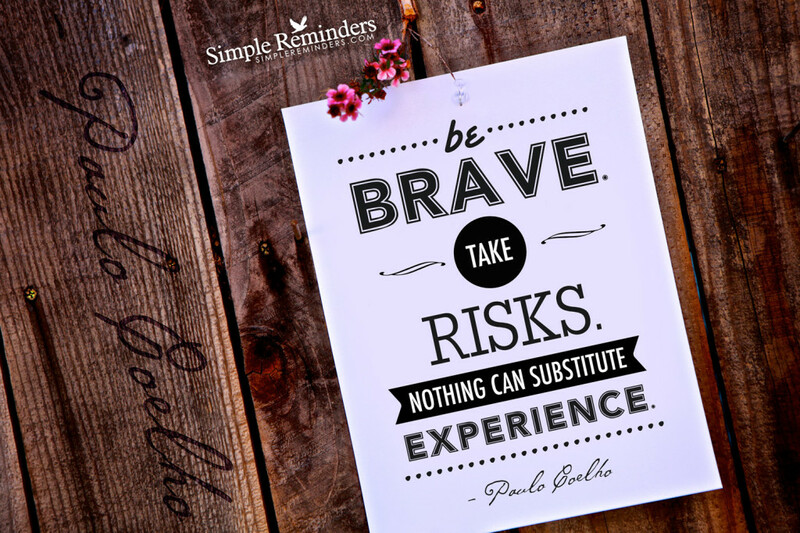 If you have experience in certain things then you won’t be afraid to start taking risks. Risks, after all, are what lead to more learning as you gain more experience. There is, however, a difference between being brave and being stupid. I’m going to be frank with you – not all acts of bravery lead to a good experience. For example, jumping off of a cliff; sure it makes for a good experience but that sort of bravery may just result in you breaking every bone in your body. It’s good to start taking risks, but there aren’t the kind of risks that you should be taking, especially when they obviously don’t look to be very good choices from the start. Although experience may be good for you, there are just so many things that you should be doing. Smoking, for instance, doesn’t really make for a good experience. It’s potentially bad for your health, but let’s just say that you want to try it out for the sake of experience. In the end, you find yourself addicted and you keep on smoking. That doesn’t seem to be good now, does it? Not all experiences are good for you so it is best to be prudent with your actions. If you want to start taking risks then the best kinds are the ones that help foster your growth as a person. How about seeing the world? What about trying all sorts of food, or even experiencing the different and diverse cultures all around us? All of these things make for good experiences. Once you decide to do these sorts of things though then it means that you have begun to start taking risks to help yourself grow. Speaking of growth, it is an important part of being human. If you don’t want to grow then you are never going to become a better person. Only those that have accepted that they need to continually grow mentally and spiritually will be able to see the path that they are meant to take, and that path greatly involves the start of taking risks. Experience will be your best teacher and bravery will help you overcome those fears you have. I urge you to be brave and to start taking risks. Be smart and learn to grow so that you can become a better, greater person in the future. You, my friend, are destined for greatness! 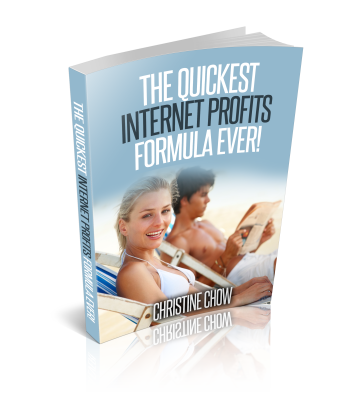 Free video reveal 21 Steps to put $1k, $3k & $5k commission into your bank account. This entry was posted in Blog and tagged be brave, christine chow, experience, start taking risks on May 29, 2013 by Christine Chow.